Bothawui is the third planet in the Both system. Sometimes known as Bothawui Proper, it was a cosmopolitan planet which is a major hub for information trafficking. The Bothan spy network has been described as second to none, and much of the information is possesses flows through Bothawui. The planet was an old member of the Galactic Republic: Bothese was one of the languages from which Basic developed. The Bothans colonized many nearby worlds and Bothawui became the capital of Bothan Sector. In the years preceding the Clone Wars, the planet was represented in the Galactic Senate by Polo Se'Lab. It remained neutral during the Clone Wars. While officially a part of the Empire during the Galactic Civil War, the Imperials maintained little presence on the planet, apparently having decided that the world was little threat. A figure-head governor and a small contingent of Stormtroopers was the only outward sign that the world was under supposedly Imperial governorship. Both the Imperial and Rebel Alliance intelligence services apparently decided to let the planet serve as neutral ground, where they could both spy on one another with no open conflict. Despite its neutrality, upon learning that Bothan spies had acquired the Death Star plans and given them to the Rebels, the Emperor traveled to this planet and with only him and two Royal Guards and the might of the Force, decimated hundreds of Bothans. Shortly before the Battle of Endor, the Bothan Spynet discovered evidence revealing that the freighter Suprosa, supposedly carrying fertilizer, was transporting an Imperial information core to the Both system. Within the core were the plans to the second Death Star. Luke Skywalker, along with Dash Rendar, traveled to Bothawui to aid in the capture of the plans. 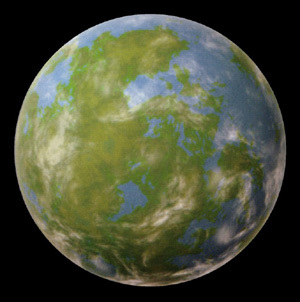 The planet was a founding member of the New Republic, although long represented only indirectly by Senator Borsk Fey'lya of Kothlis, a colony of Bothawui. When Fey'lya was elected President of the New Republic, Bothawui was again represented directly in the Senate by Mak Sezala. During the Caamas Document Crisis Bothawui was the subject of many anti-Bothan riots. During the Yuuzhan Vong War, Bothawui and the other worlds of Bothan Space were protected by the Fifth Fleet of the New Republic Navy. This kept the Fifth Fleet out of much of the actual fighting, as Chief of State Borsk Fey'lya wanted to make sure that his home sector was safe. Still, the Bothan people served in the war in many roles, from soldiers and naval officers in the Defense Force to intelligence operatives. Their most notable contribution to the war was the famed Bothan Assault Cruiser, a powerful warship that served in New Republic fleet and later the Galactic Alliance Navy. The world was an important member of the Galactic Alliance, though extreme fundamentalist views of some Bothans in regards to the defeated Yuuzhan Vong would cause some friction. Forty years after the Battle of Yavin, Bothawui allied itself with Corellia in the Confederation-Galactic Alliance War. Following this outbreak of hostilities, Bothawui became a founding member of the Confederation.